Last edited by C230 Sport Coup; 05-04-2009 at 09:25 PM. MTM makes some great watches too. How do you like the Marathon? watches pull the hair on my arm... smh hate that. so i rather use for the time. some beautiful watches in here... was lookin at a mavado... maybe when i hit 30. The SAR is a nice piece especially if you can get one from the Canadian contract. 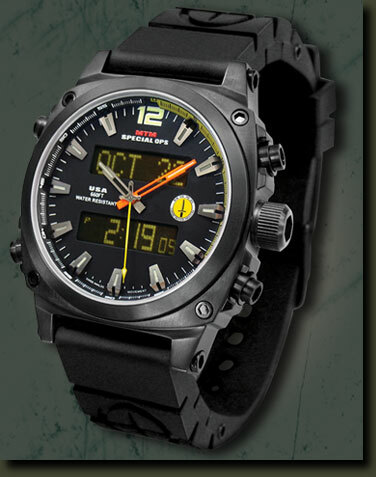 Very tough watch and it is BIG and HEAVY. You have to be into MIL watches to really appreciate it. Love the SAR. I changed the rubber strap to a metal one. I now want the Jumbo SAR but I think I want an Omega GMT before I get another Marathon. Good choice on the Omega. I used to go legit, and have run with a Breitling Emergency, Tag Formula 1, and Bell & Ross, but it's just too expensive of a hobby to maintain (God knows there's always a new sick-looking watch out/coming soon). 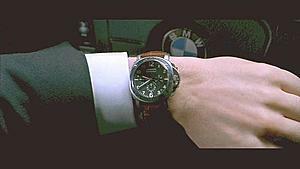 That said, I've started sporting a Kenneth Cole swanky lookin watch that's affordable, and have simultaneously upgraded to...replicas. A nice trip to Bali uncovered Bagus Watches, which landed me a Panerai, MB SLR Tag, Porsche Design. Most are wind-up or powered by movement (with a glass back) so they're very cool looking and functional. I would not feel right about fakes, no matter the quality its being something its not. to each their own. Sorry fakes are right out for me. Here they are imported and distributed by organized crime, I don't want to support that. Nice watch....but, in my experience, a step up from a Rolex could be a sundial!! No...wait...I take that back....the sun is reliable! Bought two Rolexes, and my wife still wears one mostly due to appearance...I long ago gave up on mine for lack of accuracy...and starting hearing the same from other owners who say the great-looking, upscale Rolex is the "Jaguar" of watches (although Jags have improved a lot lately!). I have a variety of Casio Waveceptors, which are not so much watches as they are display devices for the radio broadcast of the cesium atom vibrating in the US Atomic Clock in Boulder, Colorado. They are always exactly right and require no attention (powered by solar cell, change themselves at daylight savings time) and I get a surprising number of complements on the style. LOL....I wear the Rolex when I travel, when correct time can be an "approximation", and conditions might be unpredictable...I wear the Rolex to take better care of the Casios! OK...let the indignant, horrified answers begin! Traded my Breitling steelfish for this a few weeks ago Sinn 856. The UTC hand is hidden behind the minute hand. Very comfortable watch, and it is German.